Mr. B. Ram Chandra Reddy is the Chairman and Managing Director (Aged 49 years). He belongs to agriculture family. He pursued Bachelor of Law, after graduating in Arts. After completing LLB, he enrolled in Bar council of AP in the year 1987. 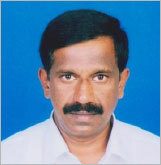 He started his legal career from 1990 under Senior Lawyer Mr. M.Sudhakar Reddy. Mr. B. Ram Chandra Reddy practiced Law till end of 1996 in Hyderabad. He has started finance business in 1997 under the name and style of Kalyan Leafin and Investments Limited and Krushi Realtors Private Limited in the year 1998. He has continued with this finance business till 2004. He retired from the company in 2004 because of busy schedule with Krushi Realtors Private Limited. From 1999 till 2005, the company has undertaken various projects and completed successfully. The company grew slowly but steadily. During 2006 till 2010, he went slowly with new projects due to market forces. During that time, he continued his realty business as a partner with M/s Jaibharath Constructions Pvt. Ltd, and developed about 400,000 sq.ft of residential/ commercial space. KRPL again became active with new projects during 2010 and started construction activity aggressively. It has completed, one project and three more major projects are under pipeline. Dr. Ram Reddy is an outstanding scientist in Chemistry, Biochemistry of natural products and Nanobiotechnology.. Dr. Reddy possesses more than 20 years of innovative, strategic and successful leadership in pharmaceutical industry. 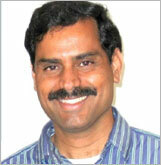 He is Ph.D. from Sri Venkateswara University, Tirupati, Postdoctoral Fellowship from Indian Institute of Sciences (IISc) Bangalore before he moved to Biochemistry Department at Vanderbilt University, Nashville, Tennessee. At Vanderbilt he worked on biological oxidations and role of endogenous DNA adducts in cancer progression. Later on he worked as a Scientist at Lumigen Inc and as a Director of Research at Molecular Therapeutics Inc. Dr. Reddy developed multifunctional biodegradable nanoplatform for cancer imaging and treatment. Dr. Reddy is recipient of several awards and honors which recognize his business acumen and professional achievements. He is a founder of biotechnology company, Next Generation Therapeutics, Inc, located in Michigan. His interest in alternate energy area led to invest in bio-fuel companies that can uplift down-trodden farmers. 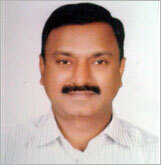 Mr. B.Krishna Reddy is Director (Aged 46 years). He is brother of Mr. B. Ram Chandra Reddy. He is also a promoter Director of KRPL. He started his career, with KRPL and assisting his brother in Construction activity and monitoring the work progress.